Welcome to the Heroes’ Voices – Guitar Corps site. 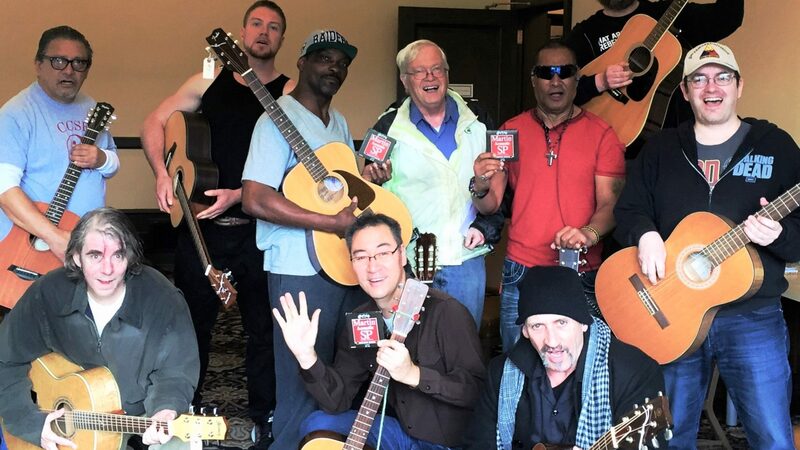 These are the first in a series of free guitar lessons created especially for veterans by master guitar teacher Larry Chung. The lessons begin with the basics on how to learn to play guitar, and in a few lessons you will be able to play entire songs. Watch for more lessons, which are added as they are created. While these lessons are offered for free to veterans, anyone can access and use them. If you are not a veteran and you use these lessons, we hope you will make a donation to Heroes’ Voices to support our veterans. A brief tour of the guitar. How the guitar works and the different parts of the guitar. Holding the guitar. How to hold the guitar when you are playing it.